Police have identified the 17-year-old victim of a possible drowning reported in Puna. He has been identified as John Joel Nicholas Buentipo of Keaau. 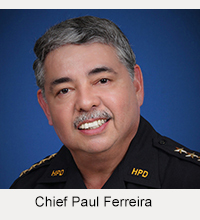 On Saturday (April 7) at about 7:25 a.m., Buentipo’s body was recovered by Hawaii Fire Department personnel and was transported to the Hilo Medical Center where he was pronounced dead at 10:10 a.m.
On Friday (April 6) 2012 at about 1:34 p.m., Buentipo was reportedly with friends who were swimming near Shipman Beach in Keaau when he experienced difficulties in the water and was unable to swim back to shore. It was reported that friends apparently lost sight of Buentipo and rescue personnel and a helicopter from the Hawaii Fire Department responded to the location and conducted a search, which was called off due to darkness. 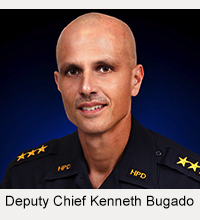 The search resumed Sunday morning and Buentipo’s body was located near the location he was last seen. The case is currently classified as a coroner’s inquest and autopsy is scheduled for Tuesday (April 10). Detectives from the Criminal Investigation Section are continuing the investigation and do not suspect foul play.